Nikon flashes offer unparalleled lighting performance, helping you make sure that you get the most out of the time you spend shooting. Contact us to reserve a flash today! Nikon's powerful Speedlight unit provides incredible lighting flexibility both as a stand-alone Speedlight, wireless commander or remote unit. You get unbeatable flexibility with the SB-800 with the ability to control as many as 3 remote groups and Auto FP High-speed sync for working with higher shutter speeds offering greater depth of field control. 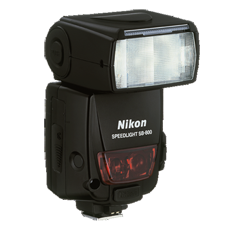 The SB-910 is Nikon’s most sophisticated and powerful Creative Lighting System portable Speedlight designed for use on camera as well as for complete wireless control in the studio or on location. 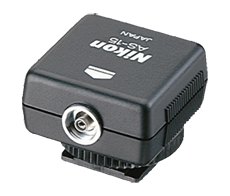 Featuring Nikon's versatile i-TTL (intelligent through-the-lens) metering for on camera or wireless flash control, the SB-910 can operate as a hot shoe mounted Speedlight, remote unit or wireless Commander. Approx. 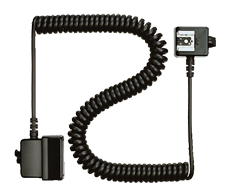 9-ft. coiled cord with built-in AF-Assist Illuminator for placement of the SB-910, SB-900, or SB-700 off camera. The SC-28/SC-29 makes off-camera TTL flash control easy and assured. 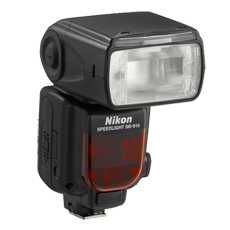 With the Nikon D-SLRs, the SC-29 also works as an external AF-assist illuminator.